cost Adults R70, Kids R35. A destination spanning 10 hectares packed with exciting facilities for local and international tourists. Visitors to chameleon village will be spoilt for choice. Whether looking for restaurants, kids playground, browsing for gifts at our arts & crafts market, visiting our zoo or coming to see our reptile shows. If you are just looking for fun and entertainment for the whole family chameleon village is the place to go. 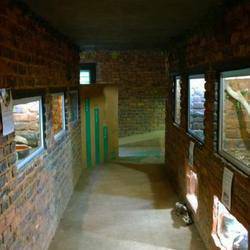 Zoo and Reptile Park with daily live shows. For those interested in the more slippery characters, there is of course our world famous reptile park where shows are held every day. Other animals you will find at our zoo include monkeys, baboons and wallabies. 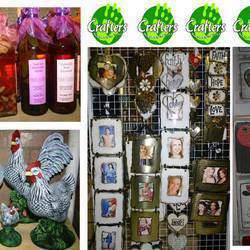 The crafters market at chameleon village is the largest indoor market in the country. Hand crafted products are obtained throughout south africa. Discover beautifully hand crafted jewellery, aromatherapy products, divine candles, lavender & wheat packs, knitting, folk art, cards & decorations plus other paper craft, quilting, stitch craft, scrap booking supplies, books and more. There is a huge variety of fun activities for the kids and for the kid in all of us! There are jungle gyms, a game arcade, jumping castles, sand pits, rocking horses and slides throughout the park. Our fun park is for kids of all ages and are guaranteed to have a blast! We have a wonderful variety of restaurants all nestled in an indigenous forest! Patrons are guaranteed to enjoy the ultimate country atmosphere, whilst sampling some of south africa's finest cuisine.